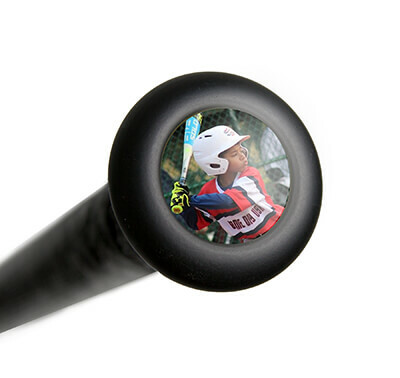 Up your game with this Miken Sports Freak 20th Anniversary Balanced softball bat. The Freak 20th Anniversary model features a 12-inch barrel with balanced loading for maximum speed and control during every at-bat. Its 2 1/4-inch diameter barrel offers plenty of sweet spots, so when the pitcher offers up a meatball, you can make contact and send the ball soaring. Its Triple Matrix Core+ technology improves the carbonized layering process for a lighter feel and massive sweet spot area. If you're looking for maximum control during every swing, the Miken Sports Freak 20th Anniversary Balanced softball bat is for you. Miken Sports: They Are Game Changers. Made in the USA, 2019 Miken Freak 20th Anniversary Balanced USSSA Slow Pitch Softball Bat (M12FRK) has Flex2Power technology built into its ergonomic, comfortable handle to maximize the overall speed of the bat head through the hitting zone. It comes in three sizes for optimal control, no matter what your preference is: 34/25, 34/26 and 34/27. This powerful bat from Miken Sports is equipped with 100 Comp, meaning it's constructed from 100 percent premium aerospace grade fiber, so you can have Miken's legendary durability and performance in your hands. Crush the ball with confidence when you pick up one of these Freak 20th Anniversary Balanced softball bats and enjoy free shipping and a full one-year manufacturer's warranty. Dont forget, with our 24/7 customer service, we will be here for you from click to hit! Pros: I'm not a power hitter by any means (hence why I purchased the Freak Balanced 26 oz. ), and my 2nd swing went over the fence. Three swings later, I put another ball over the fence again. Amazing feel, great sound off the bat, and the break-in time wasn't too bad either. Cons: None so far, all my team mates want to use it! Pros: Just like the other review, I'm not a power hitter by any means even with bats that are broken in. I take pride in being a line drive hitter. I purchased this bat and the DC-41 so I wouldn't have to use my teammates bats again this season. I was a little concerned since there were no reviews at the tie of purchase. Which is one reason why I'm actually doing one. I've always played in an ASA league and that's no longer the case. It's really ironic how my review and the first review are similar. My first at-bat I hit my normal distance around 280 but with kind of a half swing due to a bad pitch. My second at-bat, I connected with the ball and hit my first home run in probably 2 years. The ball jumped off the bat and it felt like I barely swung. I must have been dead on the sweet spot. I used the bat out of the wrapper with no break in time. Needless to say I was quite surprised at the result. Cons: The 26 oz does feel a little heavier than my other 26 oz bats. As of right now, that's the only con if it really is one. Like I said, i've only had two at-bats with it thus far. If anything changes i'll update the review. Have a question about the 2019 Miken Freak 20th Anniversary Balanced USSSA Slow Pitch Softball Bat: M12FRK? Ask our team of experts and they will respond within 24 hours. Do you know why the 2019 model has a 12' barrel vs. the 2018 with a 14' barrel? Pro"s and Con"s 12' vs. 14'? I"m not a home run hitter. Don"t want to make a $300 mistake. The main difference between the 2019 Miken Freak 20th Anniversary Balanced USSSA Slow Pitch Softball Bat: M12FRK, with its 12 inch barrel length, compared to the 2018 Miken Freak 20th Anniversary Balanced USSSA Slow Pitch Softball Bat: MF20BU, and its 14 inch barrel length, would be the balance. 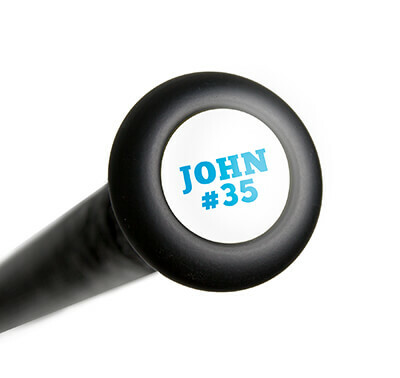 With a longer barrel one would generally notice a more overall balanced swing weight; this bat may also feature a slightly larger sweet spot. Does it exceed the 1.20 BPF? No, the 2019 Miken Freak 20th Anniversary Balanced USSSA Slow Pitch Softball Bat: M12FRK is USSSA certified, so it has the 1.20 BPF stamp. Best Company with quick shipping times and great variety.